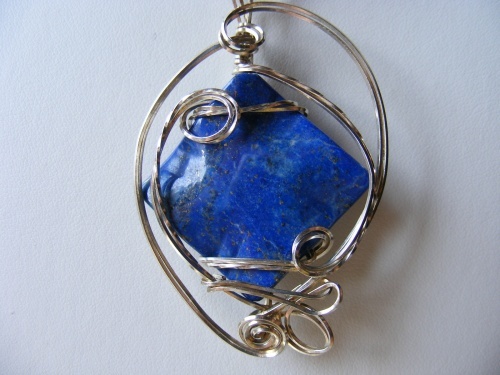 This pendant is made of genuine lapis. Said is said to have exhisted before "time was born".This stone is said to enhance the wisdom to understand and help to expand awareness and intellectual capacity. Comes with 18" sterling signapore chain.